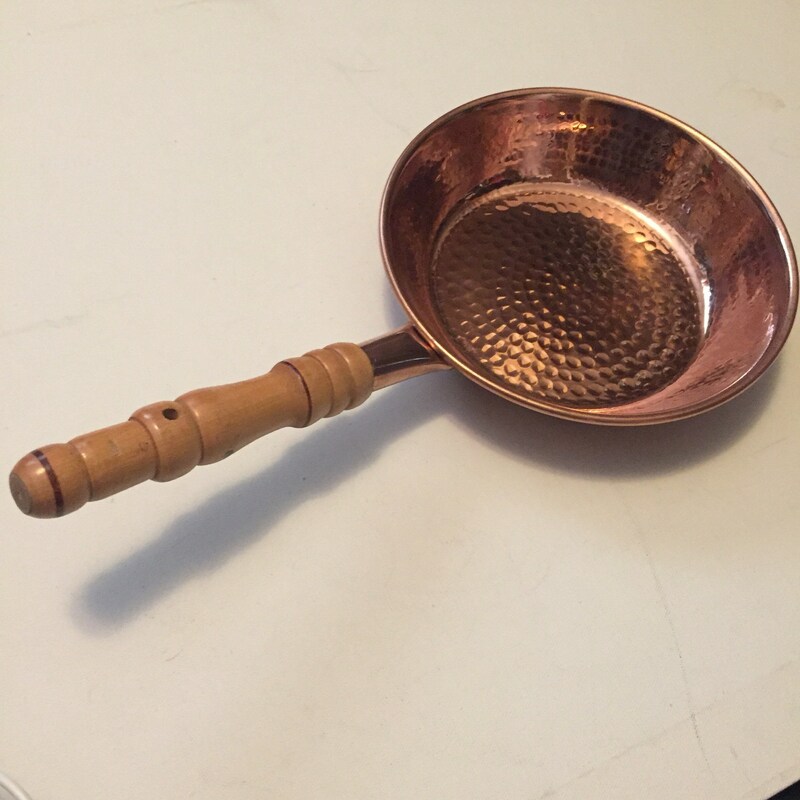 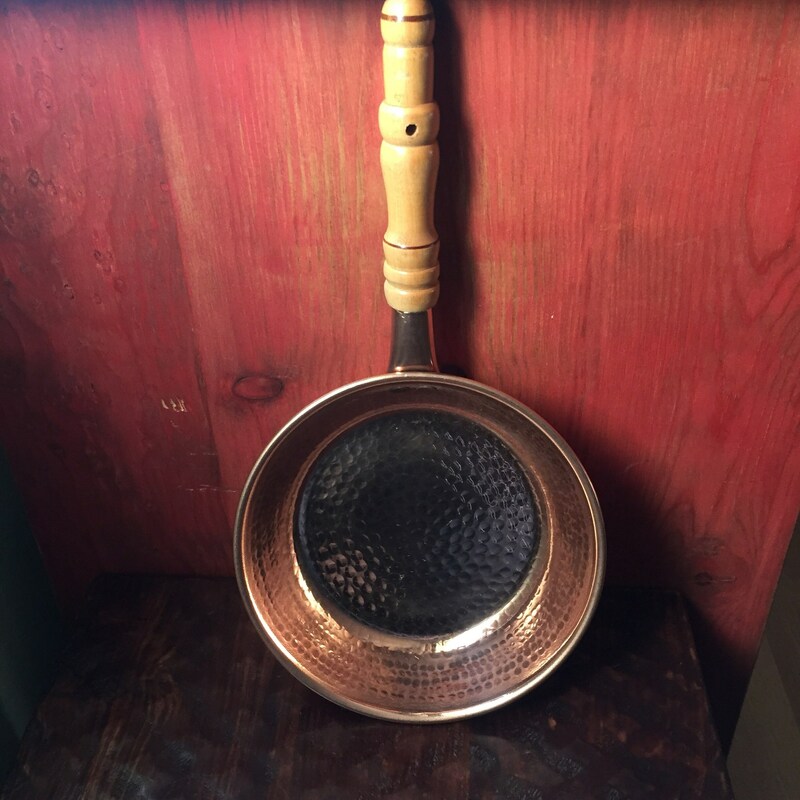 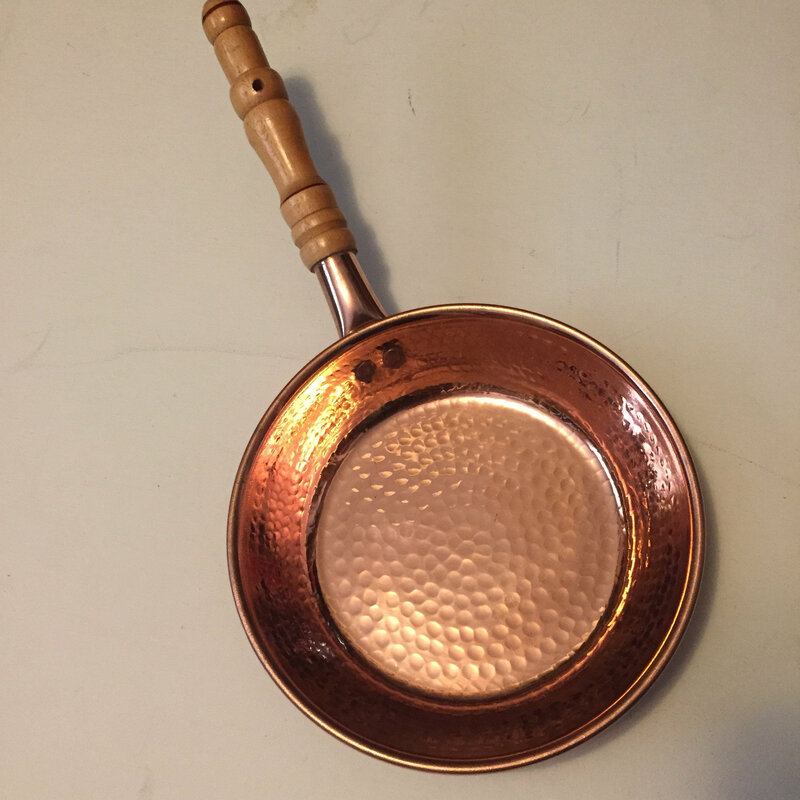 Hammered Copper Skillet Pan - 8 1/4” diameter. 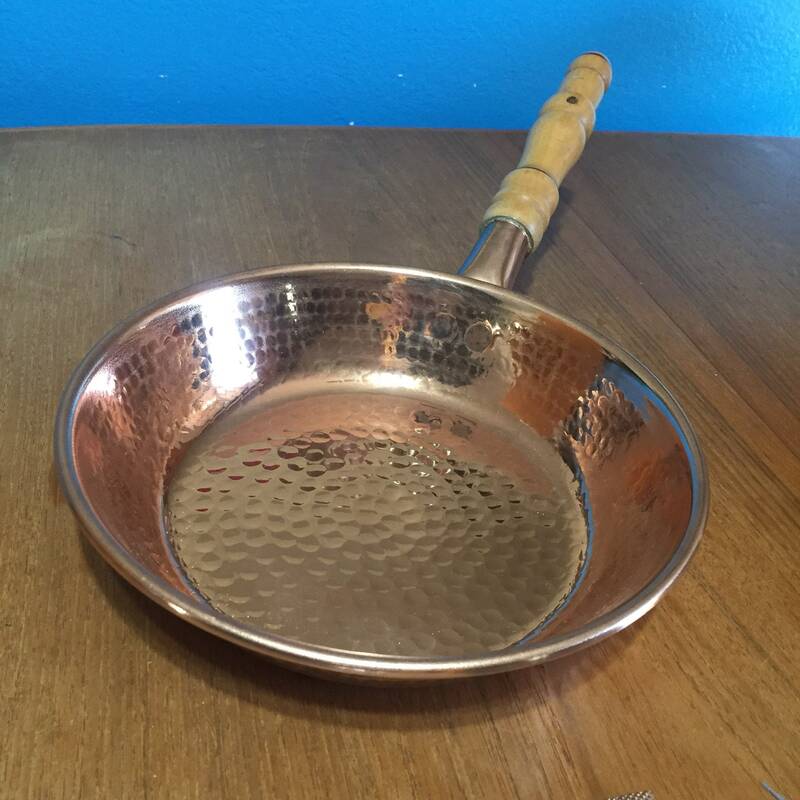 Pan dimensions: 8 1/4” x 1 3/4” (w x h). 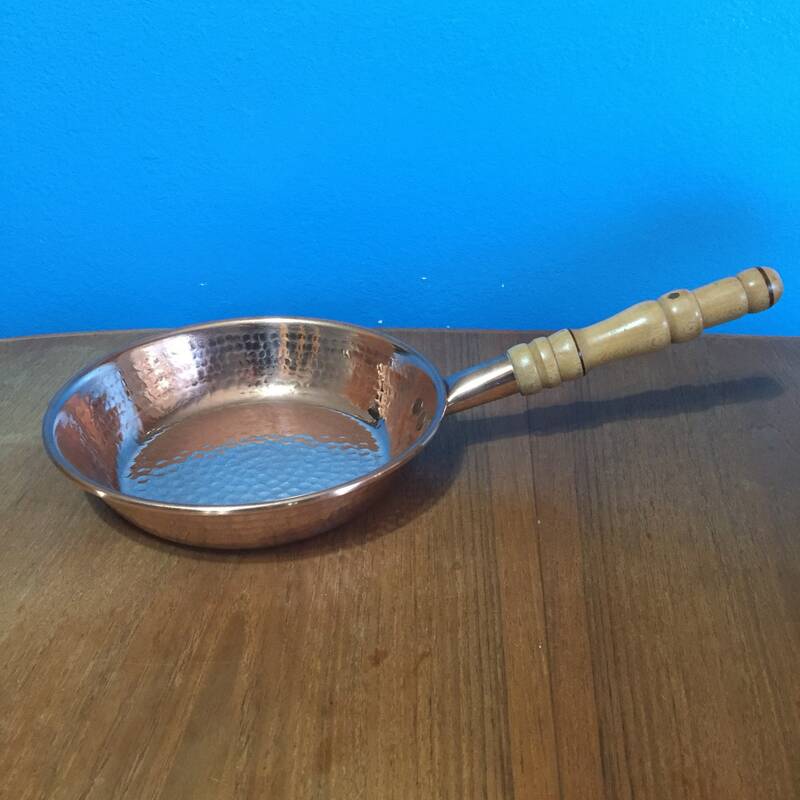 Made from pure copper, this skillet pan is finished by hand with a hammered texture. 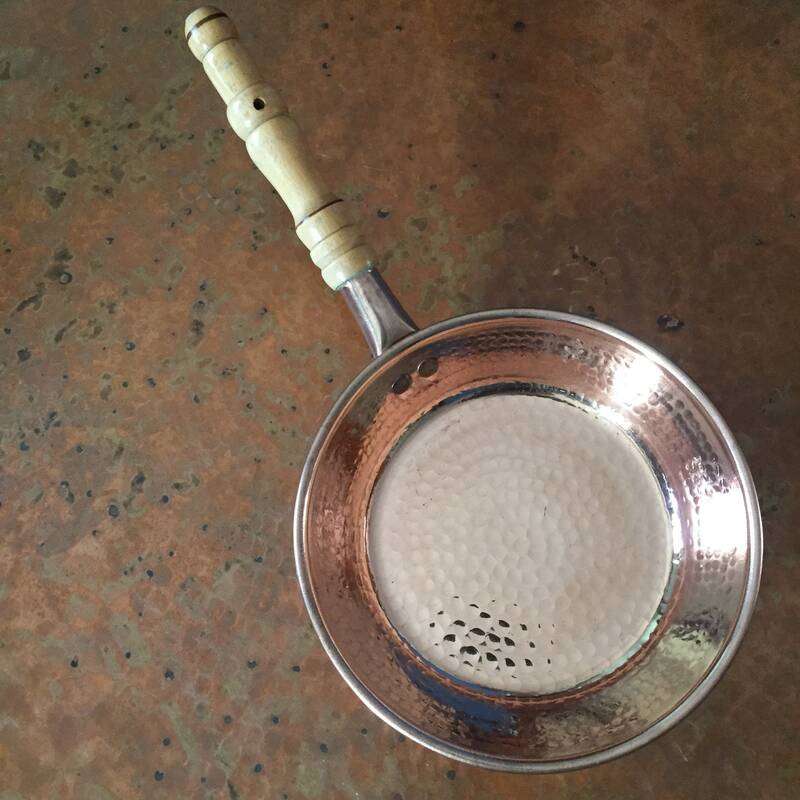 The wooden handle is riveted and has a hole if hanging is prefered while not in use. 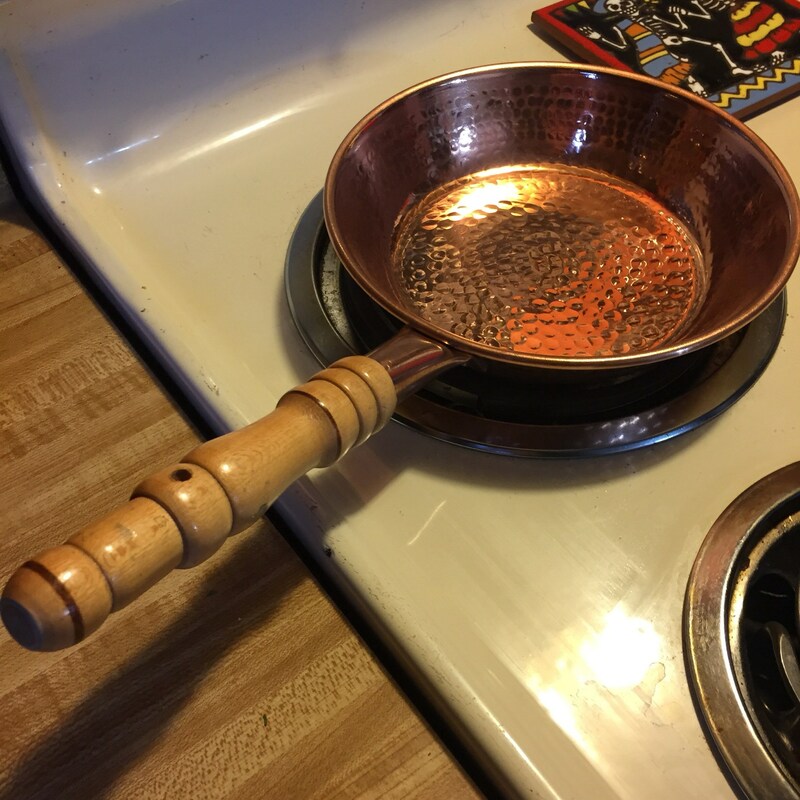 Copper conducts heat better than iron and stainless steel. 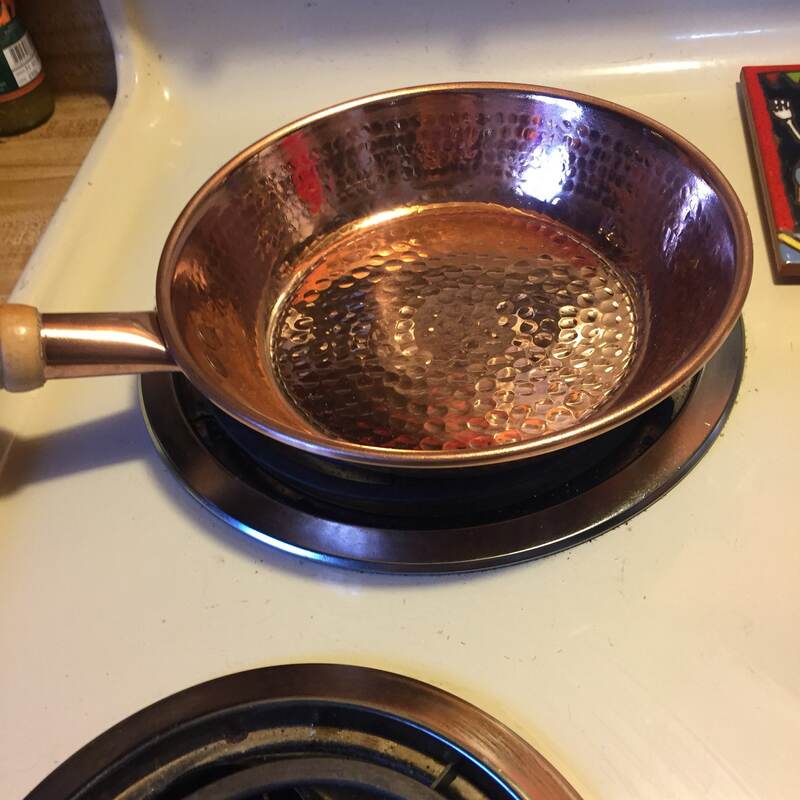 Thanks to the excellent heat conductivity properties, the heat spreads more evenly in copper cookware than in traditional pots and pans. 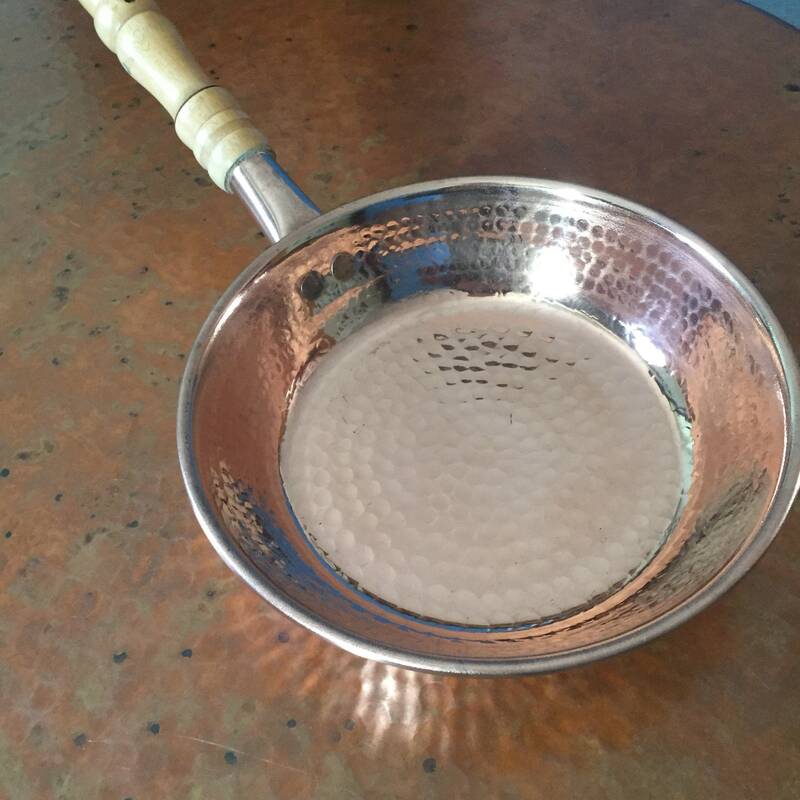 When cooking with copper, you should not use wine, citrus or tomatoes in the pot because the acidity will affect the surface.